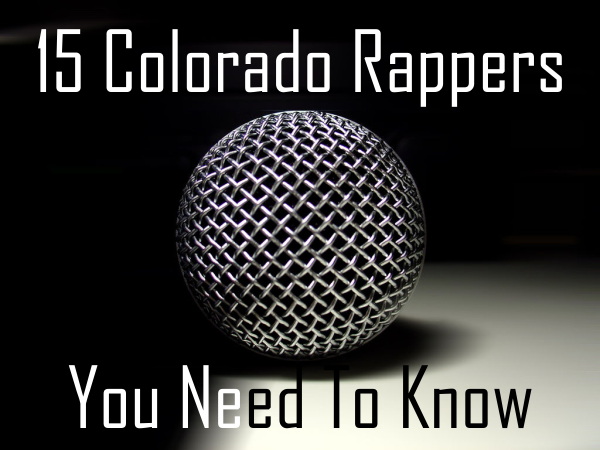 It might come to your surprise, but Colorado is full of talented rappers. And yes, we know, “everyone’s a rapper”. But below are 15 really great Colorado rappers we think you should know AND SUPPORT. So, if you like their music, let’em know! Why you need to know him: Trev Rich is undoubtedly at the top of the Colorado rap game. He was good enough for Joe Budden to give him his own track on his A Loose Quarter mixtape. He was good enough for KS107.5 to ask him to perform at Summer Jam 2014. The great thing about Trev is that he reps the Mile High City with so much passion, that when his fans think of him, they’ll have no choice but to think about Denver. Why you need to know him: AP is a lyrical beast. He expresses so much emotion when he raps – you can’t help but relate to the man. His last project 19Krazy8 was a definite success; you could let the whole CD play from beginning to end without hitting skip and surely without being disappointed. Why you need to know him: Trayce, is one of the most versatile up and coming rappers in the state of Colorado. He can hop on any beat and deliver bars that’ll have you bobbing your head in agreement. His mass appeal makes his road to success that much more achievable. Why you need to know him: Colorado Moss brings a unique swagger to the Colorado hip hop scene. His synthesis of singing and rapping creates harmony that is hard to come by out here. Why you need to know him: You’d be surprised at how popular Papa J is around the world. We can attest that his music is listened to in almost all corners of the world. Residing in Aurora, Colorado, this humble MC has an international appeal that few in his home town are aware of. Why you need to know him: Splyt is buzzing around town. He’s opened up for G-Eazy, and a few other heavy hitters in the music biz. His growth seems to be exponential as he keeps getting better and better with every new song. Not to mention he has some of the most loyal fan’s you’ll ever see. Without a doubt, Splyt knows how to rock a crowd and leave them wanting more. Why you need to know him: FL is part of the hip hop super group, The Foodchain. His latest solo project was no short dope. And when a new FL track drops you already know it’s going to be a song that you’ll have on repeat for months to come. Why you need to know him: Pries is no stranger to success. He started from the bottom and now he’s reaping the benefits of being on top. Recently he made Billboard’s list of top 100 emerging artists; at one point sitting at number 13. He’s worked with Kid Ink , and he’s also designed some of the dopest album covers for other big names in the industry. It’s only a matter of time before he’s selling out arenas. Why you need to know him: KL might be relatively new to the music scene in Colorado, but his music and his swagger is going to take him far. He’s perfected the club banger. He understands the importance of a catchy hook, easy wordplay and a beat that only works on blast. He’s definitely and artist you want to keep tabs on. Why you need to know him: When Russell Grande is teamed up with his cohort Delasean they make incredible music, but on his solo Russel is nothing short of incredible himself. He makes that music that you can vibe to under all circumstances. Why you need to know him: Colorado up and comer, Rasean Douja, is all too reminiscent of J.Cole in our opinion. He brings this authentic poetic sound to the Colorado rap game, which manages to make you want to hear more of his story. With each song, you never know what you’re going to get, but it’s highly unlikely Rasean Douja will ever disappoint. Why you need to know him: MR. Midas is a California transplant, who knows exactly what he’s doing in the box state. His live performance stands out among his peers, and his music just makes you want to get up and get hyphy. Why you need to know him: Delasean has one of the smoothest flows in the state. He can body any beat effortlessly, and along with his comrade Russel Grande (also on this list) they put on one of the greatest performances you’ll ever see from a Colorado hiphop act. In short, Delasean is no fan of mediocrity. Why you need to know him: Every now and then an artist comes along with a unique sound and a message to match. For Colorado, A Meazy is one of those artists. Void of the bull**** lyrics you’ll often hear in any local music scene, A Meazy possesses what many of us search for when scouring for new music to love…authenticity. On the map ready for Hold down Music. Colorado apart of God’s Land. I got you C.O!!!! Who runs this site and how do you choose who you put on here? Ive been in the music scene for 15years plus in Co have fucked wit damm near everybody and only recognize maybe 2 of these cats. No shade but every site music awards, westword and all these other so called reports are garbage and biased. Whoever need to stop riding nutts and look up who actually doing numbers and who has a following instead of there homies lol. Kuda King should be on there, he has the pro sound and dope music. Colorado Springs low-key has one of the best in Colorado. Just did a song with Vee Tha Rula. Dude is starting to get the recognition he deserves too.